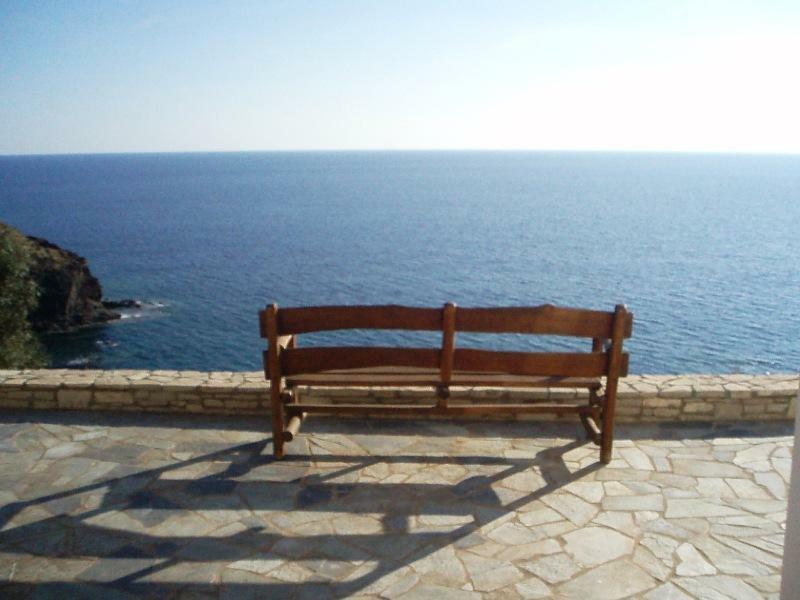 Actual escape to South Crete! 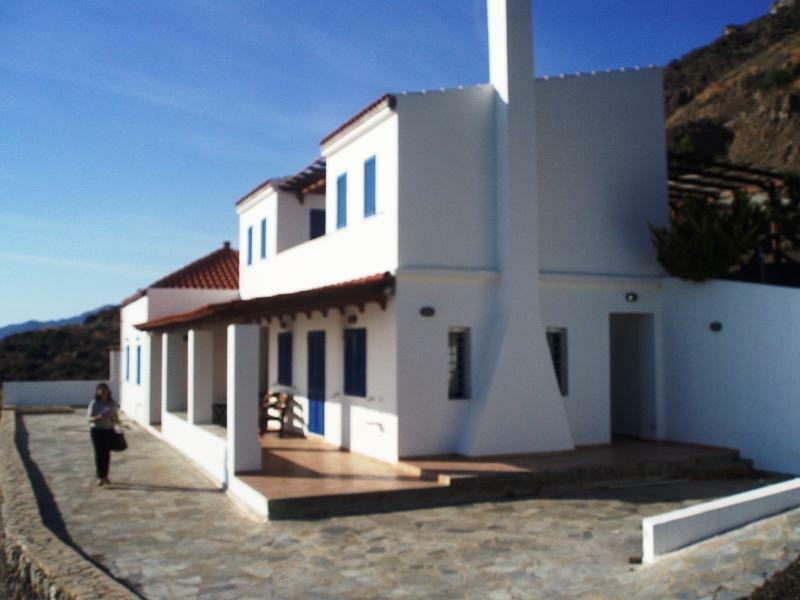 In the fishing village Tsigunas offer Holiday home Alexandra. 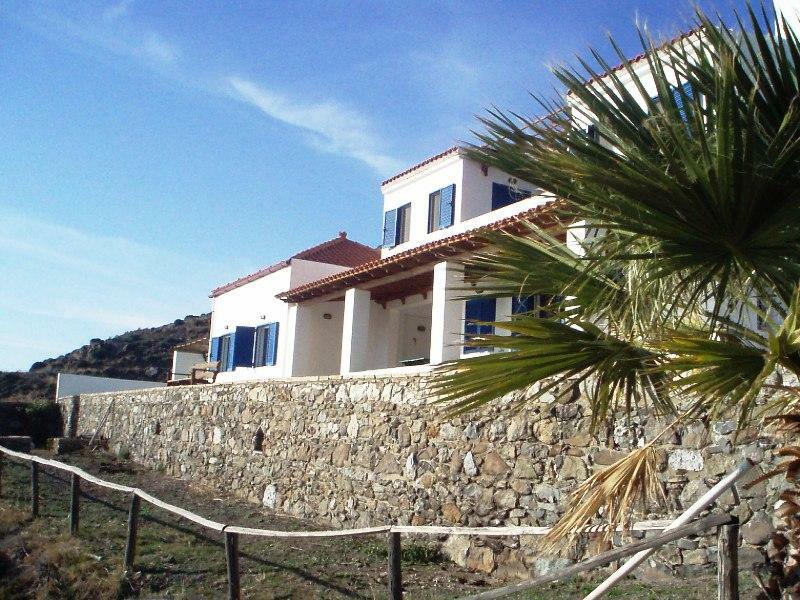 This is a beautiful house with 5.000m2 area outside and private beach! Bathed in light of the Alexandra House! 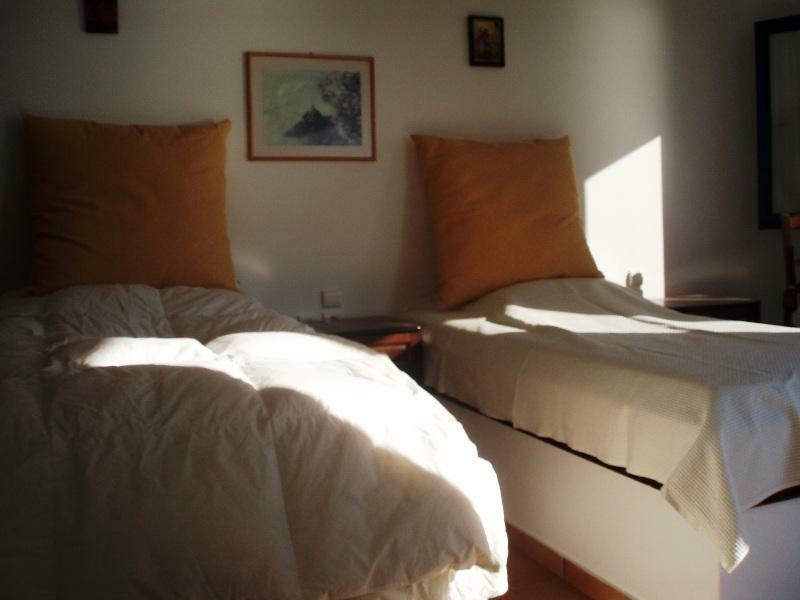 It consists of a guesthouse 80m2, with two bedrooms (one double and one twin), kitchen, bathroom. 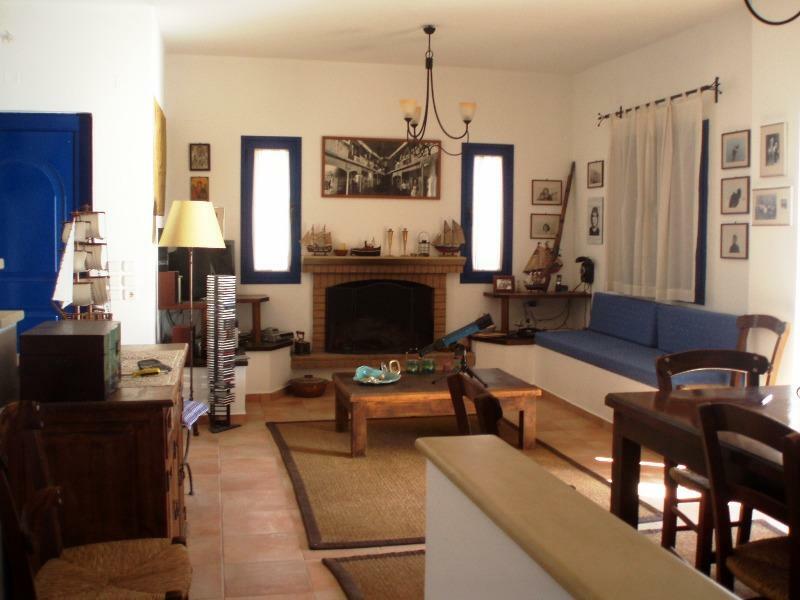 The main house, about 140m2, consists of a living room, dining room, storage. 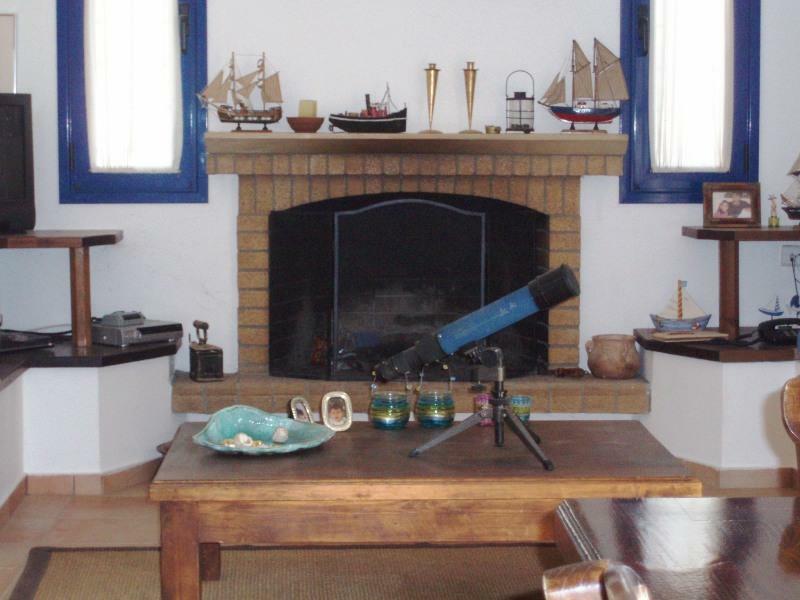 Up stairs have 2 bedrooms ( one with a double bed and one with 2 single beds ), bathroom and big balkonys with sea view. 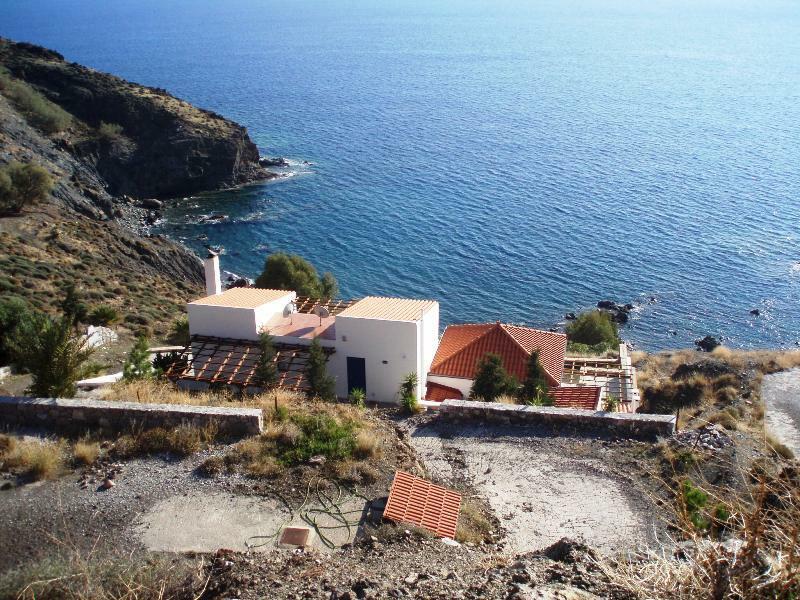 From the windows and large terraces overlooking the sea and the deep blue is what will attract you. Outside are a large stone oven and barbecuing. Going down just a few steps we reach the beautiful private beach. 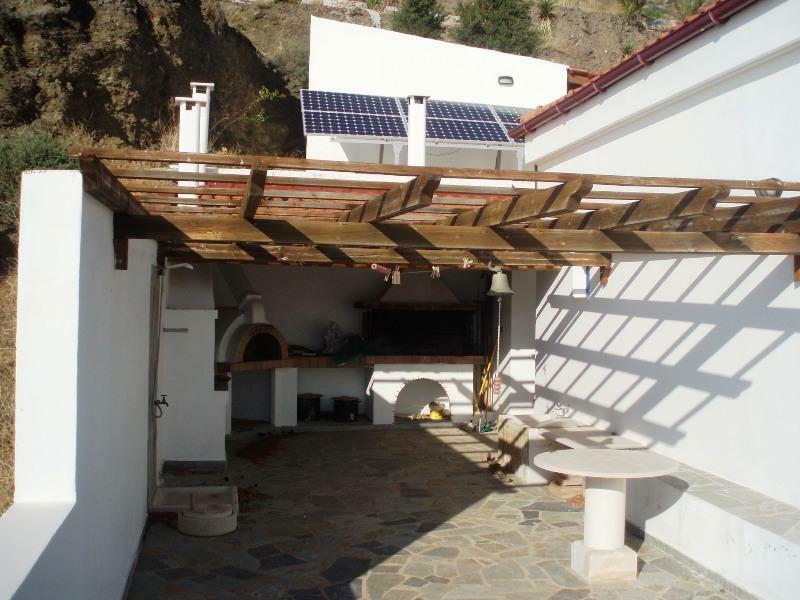 Facilities: Fully equipped kitchen: toaster, refrigeration, microwave, coffer maker, T.V, fireplace, hair dryer, iron. 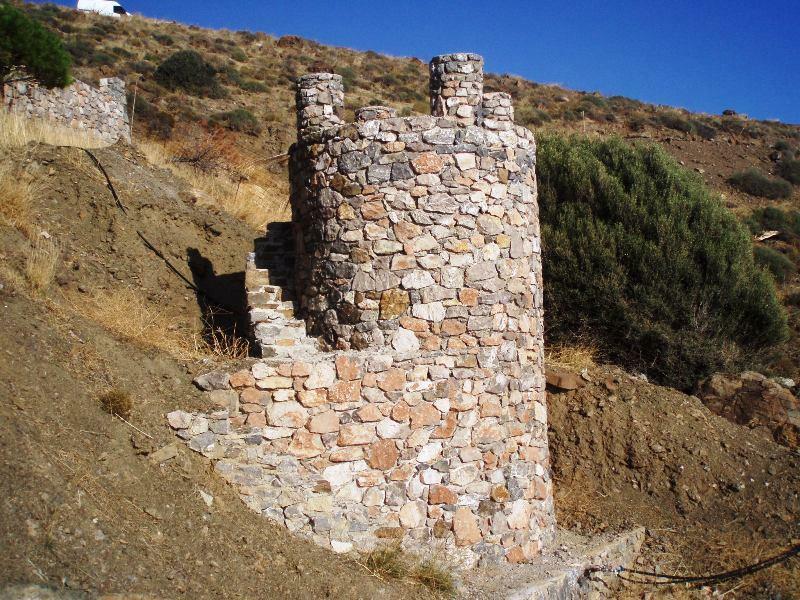 Distances: 73km from Heraklion, 4km from the village of lentas. We recommend the Alexandra House in couples, families and those who seek private feeling.